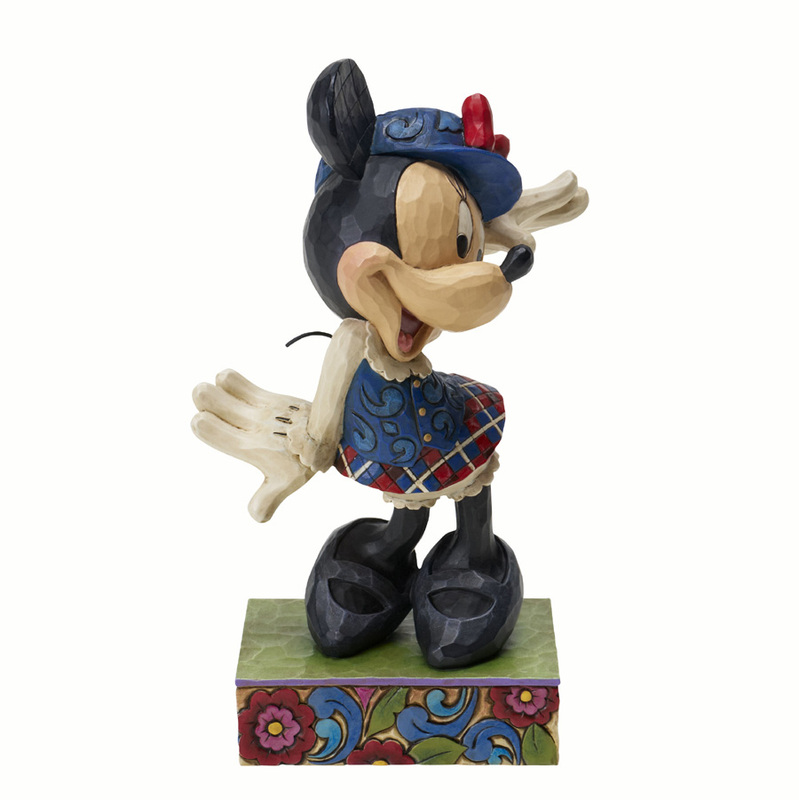 Q: The name of your collection of Disney inspired figures is called Disney Traditions. Can you share with us what Disney Traditions means to you as an artist? For as long as I can remember I’ve been a huge Disney fan. Like everybody in my generation, I grew up with it. Characters like Mickey and Donald, stories like Snow White and Pinocchio, were an important, everyday part of our lives. And it wasn’t just great entertainment. We picked up some pretty important life lessons too. Disney stood for the values we admired most, things like courage, loyalty, friendship. And what’s great is those classic Disney movies and characters are as popular now as they were when I was a kid. As an artist and for me personally, being associated with that kind of creative tradition is an incredible honor. Q: Reminiscent of folk art, the detailed quilting patterns and scroll designs along with meticulous attention to character detail and color are all indicators of your signature style of art. What path led you to this unique style? I grew up in a family of quilters, so I guess that part of it sort of comes naturally. But as I grew older I was drawn to the broader traditions of American and European folk art, things like rosemaling, tole painting, Fraktur and what’s called Pennsylvania Dutch. The unique thing about my work is the combination of these different folk art elements. The challenge is pulling everything together into something that makes sense visually. The goal is to keep the eye moving across the entire piece, taking in all the different elements while appreciating the composition as a whole. It’s not as easy as it sounds! Q: No matter the subject, the color story used for each of your creations can be described as bright and cheerful. How do you select your color combinations? My grandmother specialized in what’s called Crazy Quilts, which combine apparently random bits of cloth into abstract designs. They were pretty wild and she was pretty out there when it came to color. No combination was off limits to her. I grew up watching her work and I guess I picked up on that mindset. And since I never went to art school that early influence didn’t get bogged down with a lot of formal training. Consequently I use color in a way that most artists would find unconventional. For me it works to put a pink next to an orange next to a purple next to a green. I guess I’m a lot like Grandma that way. Q: Speaking of favorites, we often see the same character portrayed in different pieces, especially when it comes to your seasonal designs. Do you have a favorite character and what about this character inspires your creativity? I love Tinker Bell. She’s smart, loyal and very spirited. She’s full of fun but always seems to do the right thing in the end. Plus her size makes her an interesting subject to work with. I have a great time drawing her in scale with stuff around the house like clocks, candy canes and the like. 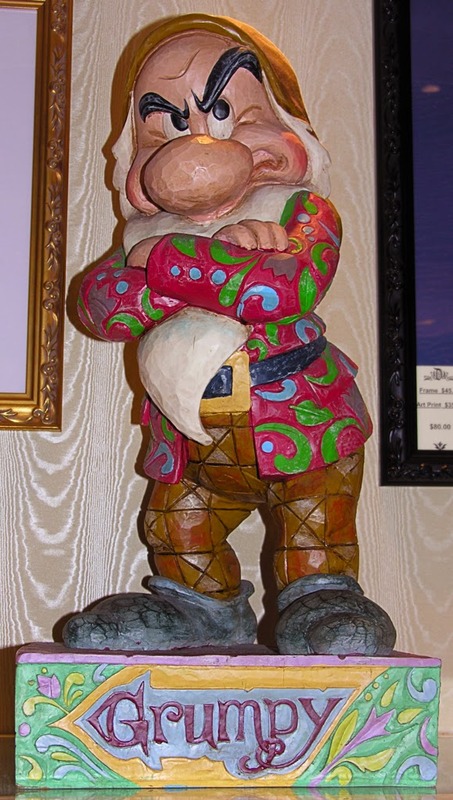 Q: Those of us in the know have seen you appear on more than one occasion at the Disneyland Resort and Walt Disney World Resort. What brings you back and what do you enjoy about the experience? I’m a grandfather several times over, at a stage of life where fairy tales and pirate adventures aren’t supposed to mean much. But the Disney Parks bring out the kid in me and I love going back. I’ll be signing at Disneyland November 20-21 and at Walt Disney World December 3-5. It’s a great time to go because everything at the parks is getting ginned up for Christmas. There’s a special energy that time of year. 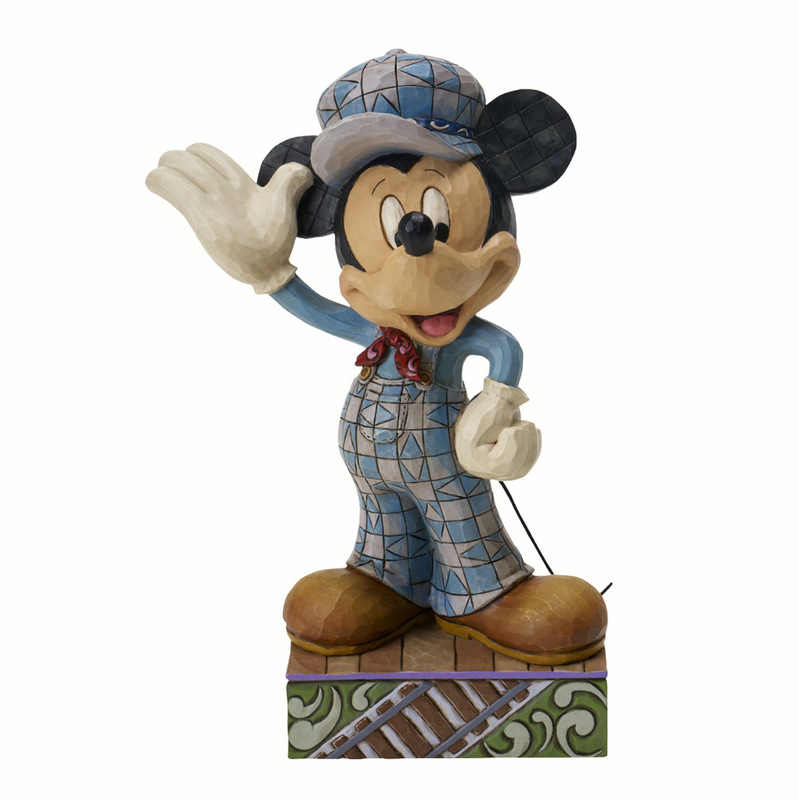 Q: The pieces you design for your Disney Traditions collection are among our Guest favorites. Can you give us a sneak peek as to what we might see next? We’ve got a lot of good things in the pipeline. And what’s gratifying for me is that a lot of them have to do with special memories I have with my kids. My daughters watched Aladdin ‘til they memorized every line. We have a new Genie piece coming out and flying carpet with Aladdin and Jasmine that’ll make them happy. And I used to watch the Muppets every Saturday night with the kids, so the new Muppets collection due out this winter is a family favorite. Plus we have a new take on a musical Disney Princess collection and maybe a theme park piece or two to follow up on the Hitchhiking Ghosts piece I did last year. I’m pretty excited about it. I love doing the Disney pieces.